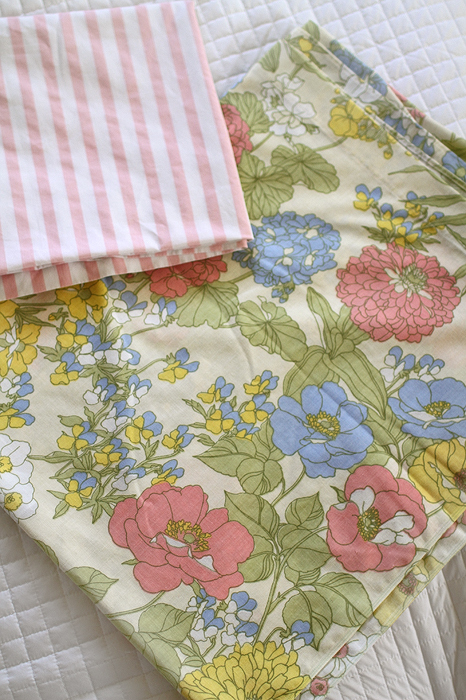 Here's some fabric I found at the thrift store yesterday! I looooove the vintage floral. And guess what?!?! They're bed sheets! I love getting fabric that doesn't cost a lot. Bed sheets are also great because they can be wider than a normal bolt and you've got a couple yards. If you're in need of some new fabric check out the bedding section of your local thrift shops! Be sure to look them over a bit too to see how worn they are. These ones were in perfect shape!